This is our wonderful all-purpose salve. 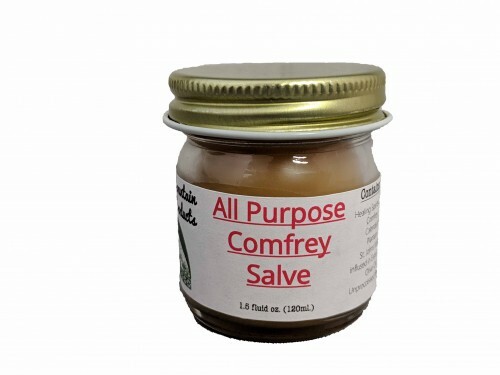 Good for bruises, chapped lips and skin, aches and pains, supports healing broken bones, just a generally helpful salve for anything that ails you. Steeped in extra virgin olive oil, made with Healing Spirits own Hand-Picked, Solar Dried Herbs: Comfrey Leaf, Calendula, St. John's Wort Flowers, Plantain Leaf, and unprocessed beeswax.